One of Happy Pets' most popular healthy dry cat food brands for UK owners. Our range of two premium quality, complete products contain all the nutritional elements your cats need to sustain their health and bounce; right through from kitten days to seniority! 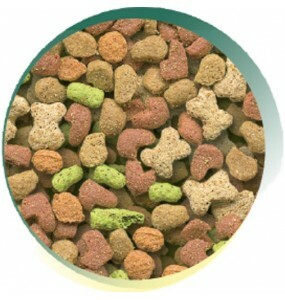 Our pair of delicious recipes come in palatable, tasty chunks making them the dry food cats love! 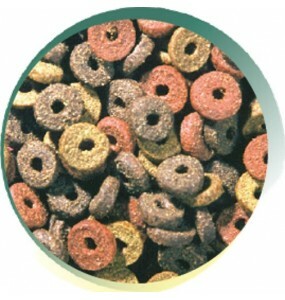 This is our recommended food for cats when expense is a consideration. Economical and very suitable for rugged felines whose digestion doesn't give them any trouble! Manufactured in the UK to provide a perfectly balanced, complete feed for your pet cat! This tasty blend gives the cat all the nutrients necessary for a maintenance diet that helps promot..
A nutritionally balanced diet for all types of cat.Analytical ConstituentsCrude Protein 30%, Crude O..
At Happy Pets we work hard to provide cat owners with an exciting range of the best quality dry cat food in the UK. Years of research, development and customer feedback have gone into our ranges. 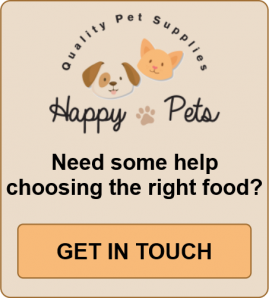 If you would like to purchase our Premium cat food for your pet, simply click on the panels above to order. You might also like our Naturals, Grain Free and Super Premium varieties of scrumptious healthy dry food for cats!